Transform any outdoor living space into a chic hangout for friends and family. Wicker Paradise carries quality outdoor wicker patio furniture for year round use, making it fun and easy for you to add color and contemporary wicker style to any porch, deck or patio. Browse our extensive collection of classic and contemporary wicker outdoor furniture to find the set or single piece you're looking for. Experience the quality of wicker. 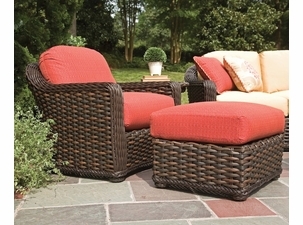 The wicker patio furniture sets featured here are comprised of synthetic wicker on an aluminum frame. Some of the wicker is resin wicker, some of the items are made with vinyl wicker, and some of the products are high density polyethylene. All recipes for a stylish and more enjoyable patio living area! Do you want to transform your outdoor patio/deck/or pool side space into a breathtaking and romantic location for your entire family to enjoy? 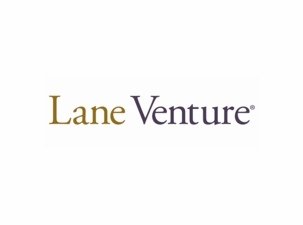 Why not consider Lane Venture wicker furniture? 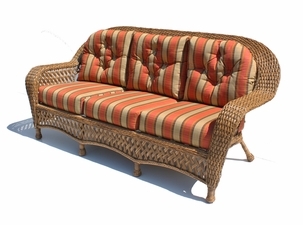 We have a wide variety of outside wicker furniture perfect for any home or vacation condo. No matter what your style preference is or what your budget may be we are here to help you create a most inviting space in your outdoor living areas. 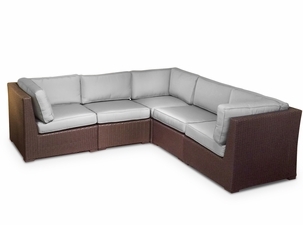 We offer a vinyl and synthetic outdoor wicker sectional that is designed for all weather conditions. Our synthetic furniture is protected against UV sun damage, excessive moisture, and all temperature climates. Browse our selection and discover for yourself our one-of-a-kind pieces and full patio sets that will look absolutely divine in your unique setting. Our outdoor wicker rocker is suitable for complete outdoor use and features your choice of top-of-the-line Sunbrella fabrics. Outdoor wicker is equally suitable for screened porches, traditional porches without screens, and indoor rooms. Many garden wicker furniture sets are available in your choice of color, and can be customized to your decor with over 70 different fabrics. We received our outdoor wicker furniture this past week and we could not be more happy. The set is absolutely beautiful! The set came in perfect condition. We just ordered another two wicker pieces via a phone order with Greg who was very pleasant and professional. Our entire experience from the time I called and spoke to Elana who was great to now has been awesome and helped us pick the contemporary Lane Venture wicker furniture that looks amazing in our home. In the future, we will not think twice about shopping at Wicker Paradise again. Bruce and I wanted to express our thanks to you and your company for the great job you all did on our behalf. You worked diligently with us to find outdoor wicker furniture that would fit our needs, budget and very tight time frame. You also facilitated the custom cushions with fabric to match our other wicker pieces and everything was shipped and arrived on time in perfect condition. The entire experience was great and we want to thank you and your firm. It is not often that this level of service is found so we wanted to applaud your efforts. 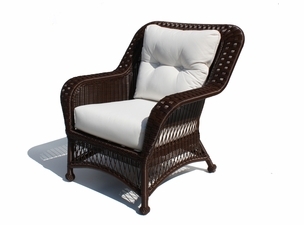 Spruce up your patio with furniture from Wicker Paradise! Here you will find a fine collection of all-weather wicker designed for the great outdoors. 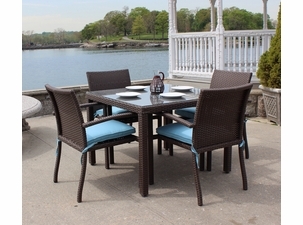 All of our outdoor collections are all weather, synthetic furniture. Every piece features a high-quality poly resin coating that protects your tables and chairs against anything nature dishes out making for easier cleaning and maintenance as well. Choose from the many styles we offer and design your dream space. Whether you're looking for a pool lounging vibe or island elegant, Wicker Paradise has it all! If you're planning to decorate your back yard, porch, or patio, then outdoor wicker is for you. It is important to select the right type of material that is especially manufactured for outdoor use. Like the name suggests, all-weather wicker is designed to withstand every type of condition, including harsh weather atmospheres. All-weather wicker will not fade, spoil, or rust. In addition to function, however, wicker furniture is also visually stunning. It brings unique texture into your decorating scheme and instantly creates a casual atmosphere. With our wide selection of sunbrella fabrics to choose from, you are sure to find a pattern or color scheme that you can�t live without.